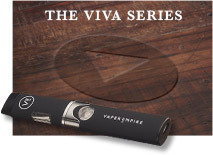 This entry was posted on January 26, 2019 by Vaper Empire. There are a few essentials when it comes to vaping. 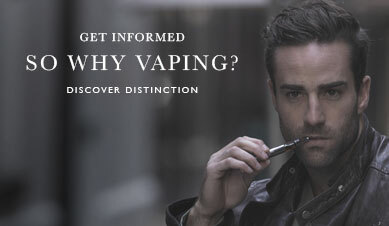 Primarily, you need an e-cig, and you need e-liquid. Luckily for you, Vaper Empire sells some of the best premium e-cigs and e-liquids on the market. Whether you’re an aspiring vaper or just in need of new vape supplies, we have everything you need! Our premium e-liquids are made from ingredients of the highest quality and pharmaceutical-grade nicotine in our sophisticated manufacturing facility. This guarantees consistent quality for all of our customers! Our delectable e-liquids are adored by thousands, and we work hard to keep them, as well as newcomers, happy. We offer some of the best e-liquids on the market, and we’re going to talk about all of them below. This list is ranked by popularity in descending order, meaning that the most popular will appear at the top. The order of this list has been determined by popularity. In other words, it was determined by every customer that ordered our e-liquids. Without further ado, let’s jump into this list! Vaper Empire brand Tobacco e-liquid is a great choice for former-smokers, but it’s also a great choice for anyone that likes the smell of tobacco. 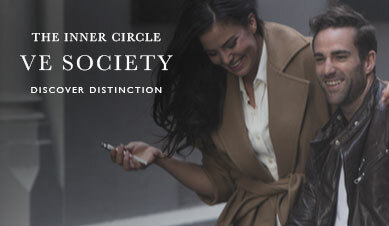 In it, we combine the dark, rich flavours of fine tobacco with the burnt notes of traditional cigarettes. But as it's vape juice, the vapour is produced from it is smooth and mellow, as a proper e-juice should be. This is our most popular e-liquid to date for good reason. It's perfect. If you want to see what all the hype is about, you'll have to try a bottle for yourself. Tobacco Ry4 is similar to our Tobacco e-liquid, but with a sweet little twist. The inclusion of smooth vanilla and rich caramel make Ry4 a uniquely pleasant experience. Dessert tobacco flavours aren’t unheard of, but they’re often ignored. That is not the case with Tobacco Ry4. This is our second highest-selling e-liquid for a reason. Our flavour mixers meticulously crafted and adjusted this e-liquid until it was the absolute best it could be. This odd delicacy is one of our biggest sellers, and we recommend it to everyone. Even if you don’t like tobacco, you might like a hint of it next to caramel and vanilla. They go together better than most would expect. Vaper Empire’s Menthol e-liquid is a delicately balanced flavour. It’s sweet, minty, fresh, and quite strong. Our Menthol e-liquid is preferred by many e-liquid connoisseurs, and it’s likely because our flavour mixers put in due time to get it all just right. The process is never rushed and our e-liquids consistently offer well-balanced, delicious flavour. Our Apple vape juice is all about accuracy. This isn’t the typical, overly-sweet, artificial-tasting apple e-liquid. Our meticulous flavour mixing process really paid off with this one, because it’s probably the most accurate apple-flavoured e-liquid on the market. You get that semi-sweet apple flavour followed by a hint of tartness. It’s like biting into an apple that you picked fresh from a tree. If you love the authentic taste of apples, this e-liquid is a must-try. Blueberry is one of the most popular e-liquid flavours and our take on this classic flavour is easily one of the best around. Our Blueberry e-liquid is all about accuracy. It’s very sweet, just like a mouthful of real blueberries. The balance of flavour is perfect, and we’re convinced that any blueberry fanatic will fall in love with it at first puff. Vaper Empire’s Coffee e-liquid is unique because it’s just coffee. There’s no cream or sugar here. Fans of black coffee will love this one! Our Coffee e-liquid doesn’t taste like some cheap, bottom shelf coffee that you buy in a metal tin. This flavour, like all our flavours, was meticulously crafted over time to be the absolute best. This e-liquid tastes like the best cup of espresso you’ve ever had. Those that don’t enjoy black coffee often like to add a bit of our vanilla e-liquid to the mix. This makes it resemble a sweeter, creamier cup of coffee. For coffee connoisseurs, this e-liquid is a must-try. Old Port Royal is an alternative to our traditional Tobacco Flavour. It’s a smooth flavour that perfectly captures the essence of sweet, aged tobacco. The flavour of our Old Port Royal e-liquid is a bit more robust than that of our original Tobacco e-liquid. Although the original Tobacco flavour is our best-selling e-liquid, many prefer Old Port Royal. Different people like different tobacco, and we wanted to offer a variety in order to meet the needs of everyone. If you’re a former smoker, current smoker, or tobacco enthusiast, we highly recommend both Old Port Royal and our original Tobacco e-liquid. Both are fantastic, and you can’t know which you prefer until you try them. Watermelon is one of the most popular flavours of summer, but why only experience it once a year? Get your watermelon fix anywhere and anytime with Vaper Empire’s Watermelon e-liquid. Like most of our fruit e-liquids, our Watermelon e-liquid is all about accuracy. It’s no sweeter than a perfectly ripened watermelon, nor should it be. If you’ve ever had a great slice of watermelon, you know as well as we do that there’s no tweaking required. Over time, we fine-tuned this e-liquid’s recipe to give a flavour that tastes more like a real watermelon than any other watermelon e-liquid on the market. It’s a must-try for anyone that enjoys the taste of an authentic watermelon. Energy drinks are loved by many, not only for their uplifting effects but also for their unique, electrifying flavour. Red Energy is the perfect balance of sweet, bitter, and sour. It's a flavour crafted by our skilled, professional flavour mixers with the intention of providing our customers with an e-liquid that tastes just like their favourite energy drink. They hit the nail right on the head. If you love the taste of energy drinks, this e-liquid is a must-try. Vaper Empire’s Spearmint e-liquid has a unique flavour that you won’t find anywhere else. This e-liquid has a herb-like quality. It isn’t intended to taste like spearmint gum (in case you assumed otherwise). Rather, it feels and tastes like a satisfying, aromatic burst of real spearmint flavour. This e-liquid is ideal for those that want something kind of like menthol but without the intensity. Our Spearmint e-liquid is sweeter and far more laid back than our Menthol e-liquid. If you’re intrigued, give our Spearmint e-liquid a whirl. Many prefer it over our more popular Menthol e-liquid, but giving them both a try is the best way to determine which one you like best. Strawberries are beloved by many, and in the world of vaping, so are strawberry e-liquids! Strawberry e-liquids are one of the most popular fruit-flavoured vape juices. The only problem is that they’re often too sweet and taste artificial, like strawberry syrup. This isn’t the case with Vaper Empire’s Strawberry e-juice. This flavour has been crafted to closely resemble the authentic flavour of a ripe strawberry that isn’t a day too old. It’s juicy and sweet with just a touch of tartness. If you love the taste of real strawberries, you’ll love this Strawberry vape juice. There’s nothing else quite like it. If you’ve been looking for an e-liquid that gets the flavour of mango just right, you’re in luck! Vaper Empire’s Mango e-liquid was crafted with authenticity in mind, and through a lot of trial and error, we managed to create an e-liquid that tastes exactly like a real mango. It isn’t too sweet like fruit-flavoured e-liquids often are. Rather, it’s just as sweet as a real mango. Our Mango e-liquid is brimming with delicious, accurate flavour, and we highly recommend it to anyone with an affinity for the fruit. This sweet treat is a favourite for many vapers. Like all of our e-liquids, our Butterscotch e-liquid was crafted meticulously over time until the flavour was exactly what we wanted. This vape juice was made with the intention of it tasting just like real butterscotch, and our flavour mixers really knocked it out of the park. Vaper Empire’s Butterscotch e-liquid bares an uncanny similarity to the real thing, and we could easily recommend it to anyone that loves this candy. If you have a sweet tooth, vape this after dinner, or even throughout your day. There are no calories here, so you can get that satisfying taste whenever you want to, guilt-free! The flavour of Cola is an internationally revered treat. It’s unmistakable, and Vaper Empire has replicated that flavour with their Cola e-liquid. In fact, we've replicated it so well that it’s hard to notice a difference. If you love fizzy pop drinks, you're going to want to try this e-juice. It's one for every connoisseur's collection. Vaper Empire’s Cherry e-liquid was crafted with authenticity in mind. It tastes exactly like sweet, ripe cherries. It isn’t too sweet like some fruit-flavoured e-liquids. Rather, its level of sweetness is precisely equal to that of an actual cherry’s. It’s a delicious, all-day vape that you’re bound to love if you have an affection for cherries. Coconuts are loved around the world, but they’re sadly underrepresented in the world of vaping. Coconut e-liquids exist, but they typically contain other flavours. We wanted to make an e-liquid that perfectly captures the essence of coconut without compromise. Our flavour mixers put in the time, and the results are outstanding! Vaper Empire’s Coconut e-liquid tastes closer to the real thing than any e-liquid on the market. There are no other flavours holding it back, and it isn’t overly sweet. If you love coconuts, this e-liquid is more than worth a try. We’re constantly trying new and unique flavour combinations, but only the best are manufactured and sold to our discerning customers. Spring in Siberia was a winner that had to be on the market, and its glowing customer reviews indicate that our flavour mixers knew what they were doing. This mixture of menthol and mint is great for those that love menthol but want something a little mintier. It’s slightly sweeter than our menthol e-liquid, but it’s by no means “too sweet.” This e-liquid is an extremely pleasant, well-balanced all-day vape that most menthol enthusiasts will go nuts over. If you love menthol e-liquid, give this spin on an old classic a try. Vaper Empire’s Cappuccino e-liquid is perfect for every coffee connoisseur. It tastes just like a real cappuccino due to a full-bodied, robust coffee flavour with a hint of cream. Unlike our Coffee e-liquid, our Cappuccino e-liquid is slightly sweetened. For an even sweeter experience, you could try adding a few drops of our Vanilla e-liquid to the mix. If you enjoy cappaccinos, you're going to love this e-juice. Vaper Empire’s Twice on Sundae e-liquid is a truly delectable delicacy. This vape juice tastes just like thick, creamy vanilla custard with a little caramel topping. This is one of our best dessert flavours. The vanilla custard base makes it sweet yet subtle enough to vape all day. It’s incredibly smooth, and the subdued notes of caramel make it just rich enough to satisfy your sweet tooth without being overwhelming. If you love dessert e-liquids, this one is right up your alley. Many dessert e-liquids are simply too sweet to vape regularly, but this delicious concoction is balanced enough to be your next all day vape. This is another tobacco e-liquid variation to satisfy yet another tobacco preference. If you prefer the taste of premium Virginia gold leaf tobacco over other tobacco products, Vaper Empire’s Virginia Gold e-liquid was made for you. If you like tobacco but you’ve never had Virginia gold leaf, we highly recommend giving this a vape juice a try. 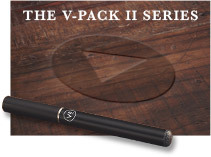 It has a dark, roasted flavour, and it’s one of the smoothest tobacco flavours available. Fans of Virginia gold tobacco and tobacco in general should definitely consider this e-liquid. If you know you love Virginia gold tobacco, you’ll love undoubtedly love this e-liquid. If you’ve never had Virginia gold leaf, who knows? This might be your next all day vape. You can’t love it until you try it. We like to experiment with unique flavour combinations, but as we previously stated, only the best are put into production. Death Valley Nectar is one of our most unusual e-liquids, and it’s absolutely delightful. This vape juice incorporates the flavours of bilberry, kiwi, and pear. In addition to these flavours, we’ve delicately infused the flavour of cactus into this bizarrely satisfying concoction. You’ve never had anything like this, and that’s the point! It isn’t often that you get to try something that’s both new and delicious. This fits that category. It’s unlikely that you’ve experienced this flavour combination, but we’re convinced that you’ll love it. We wouldn’t carry it if we weren’t sure. Of course, preferences vary, but if you’re looking for something new, look no further! Give Death Valley Nectar a try. This is another unusual yet satisfying flavour combination from Vaper Empire. Ragtime Raconteur is another tobacco variation, but it incorporates a mocha cappuccino flavour with just a hint of sweet caramel. You probably never imagined yourself vaping all of these flavours at once, but it’s an incredibly pleasant combination. This e-liquid was made with the intention of providing customers with a new and delicious vaping experience. If it sounds intriguing, give it a try! 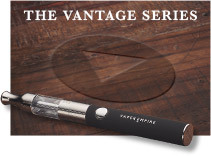 We recommend this e-liquid to tobacco connoisseurs and coffee connoisseurs alike. Vapor Empire’s Berry Chill e-liquid is a uniquely delightful mixture of Blackberries and Blackcurrants. Additionally, there’s a cool, icy layer accompanying this flavour combination. It’s definitely unusual, but you’ve likely never had something so refreshing. The sweet, subtle flavour of berries is complimented very nicely by this e-liquid’s icy, refreshing base. If you love the taste of blackberries, we recommend giving this one a try. It isn’t the typical blackberry-flavoured e-liquid that you’re used to, but you might end up liking it more. Vaper Empire’s The Amazonian e-liquid is an unusual fruit cocktail that includes the flavours of mango, passionfruit, and orchard fruit. There are also detectable hints of citrus throughout the flavour profile. This exotic fruit blend is perfect for anyone that loves unique, fruity combinations. You’ve likely never had anything like this, and that’s exactly why we made it. This e-liquid is absolutely delectable, and it’ll be a brand new experience for almost everyone that initially purchases a bottle. If your taste has been intrigued, give The Amazonian a try! Our Freudian Slipper is the combination of a variety of summer fruit flavours. This is a cool e-liquid because everyone tastes something different on the first vape. One person might taste peach while the other tastes berries. The more you vape this, the more you notice the broad spectrum of fruit flavours present in this e-liquid. If you love fruit-flavoured e-liquids and want to try something new and fun, try Freudian Slipper. This vape juice is another tobacco variation, and it utilizes a variety of aged pipe tobacco flavours to formulate one, supreme tobacco-flavoured e-liquid. Reserve Blend might not be the most sold e-liquid carried by Vaper Empire. In fact, it’s on the lower end of the sales spectrum. However, it’s very highly rated by those that have actually tried it. If you’re looking for a new tobacco e-liquid, give this underdog a try! You might end up liking it more than your go-to tobacco e-liquid. Velvet Elvis is an e-liquid that’s bound to be appreciated by candy lovers everywhere. This is a well-balanced mixture of all your favourite candy flavours. Gummi bears, skittles, and bubble gum come together in this sweet, intricately balanced concoction. It might not be the biggest seller, but its high ratings prove that those interested in this kind of e-liquid will likely love it. If you like sweet, candy-flavoured e-liquids, this might be your new all-day vape. Give Velvet Elvis a try. 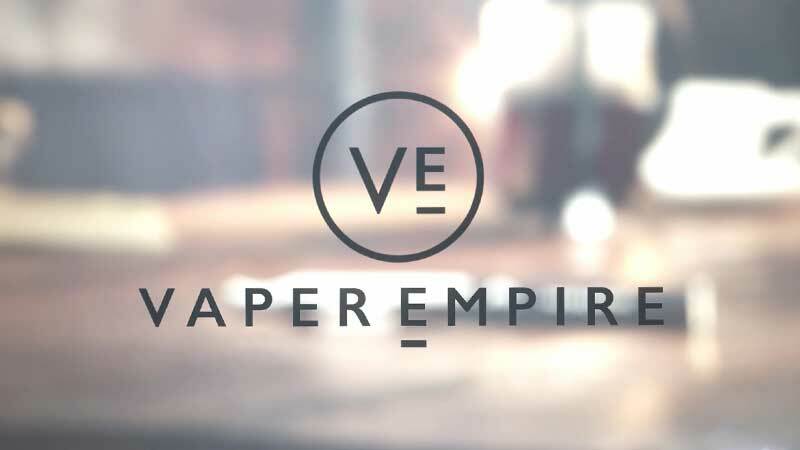 Vaper Empire’s Salvador Siesta was made for the dessert-loving vapers. This vape juice tastes just like creamy hazelnut custard, a traditional Spanish dessert that’ll leave have your mouth watering! Salvador’s Siesta is just as tasty as the real thing. This is a smooth, creamy, sweet flavour that would be appreciated by almost anyone. Although many of you probably haven’t tried this traditional Spanish dessert, you can probably tell just from the description that it’s delicious. Plus, Salvador’s Siesta has extremely high ratings. We’re confident that this juice is going to please the vast majority of you. Try something new and indulge with this sweet, Spanish delicacy. Red Lemonade is very similar to your standard lemonade-flavoured e-liquid. The only difference is that Red Lemonade has a few additional fruit flavours. The flavour of sweet strawberries is most prevalent, but there are also hints of grapefruit, citrus, and other subtle fruit flavours. This is a very unique fruit-flavoured e-liquid, but almost everyone will enjoy it. This underappreciated fruit-flavoured e-liquids might not be our most popular, but it is one of our best. If you like strawberry lemonade, you're going to love this e-juice. Rhubard & Custard is an old-timey dessert that was once well-known and well-loved. Most modern people probably haven’t even heard of this dessert, let alone tried it. That’s what makes this juice so great. This bottle of e-liquid is essentially a blast from the past. Give this old-school favourite a place in the modern world by ordering a bottle. Sweet Menthol e-liquid is a variation of our traditional menthol e-liquid. As the name implies, the only difference is that it’s significantly sweeter. It isn’t overly sweet, but there’s a candy-like quality to the flavour. If you love Menthol e-liquid but want to try something a little different, we wholeheartedly encourage you to give this one a try. Vaper Empire’s Castaway e-liquid is an exotic mixture of several fruit flavours. Pineapple, grapefruit, and coconut flavours are perfectly balanced in this unique, fruity concoction. Castaway is an exotic cocktail of sorts, and it’s absolutely delicious. Sure, it’s our least sold e-liquid, but all of our e-liquids are delicious, and one of them had to come in last. If the flavour combination sounds appealing to you, don’t hesitate to order a bottle. Castaway is a delicacy that most people would enjoy. As you can see, we offer a wide variety of e-juice flavours here at Vaper Empire and they're all available in different nicotine strengths. Whether you’re looking for a fruit e-liquid, menthol e-liquid, tobacco e-liquid, or even a dessert e-liquid, we have it all! 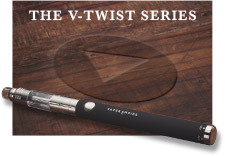 In addition to carrying top quality premium e-liquids, we also carry the best premium e-cigs. Whether you’re on the hunt for a new e-cig or a bottle of e-liquid, check out our online store! 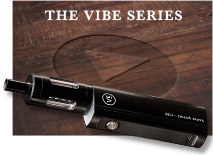 Whether you’re new to vaping or an experienced enthusiast, we have everything that you need to vape.